I've got a bit of downtime at the moment whilst I wait for new orders (HINT HINT), and I've been using my time to make my home listening environment a pleasant one. 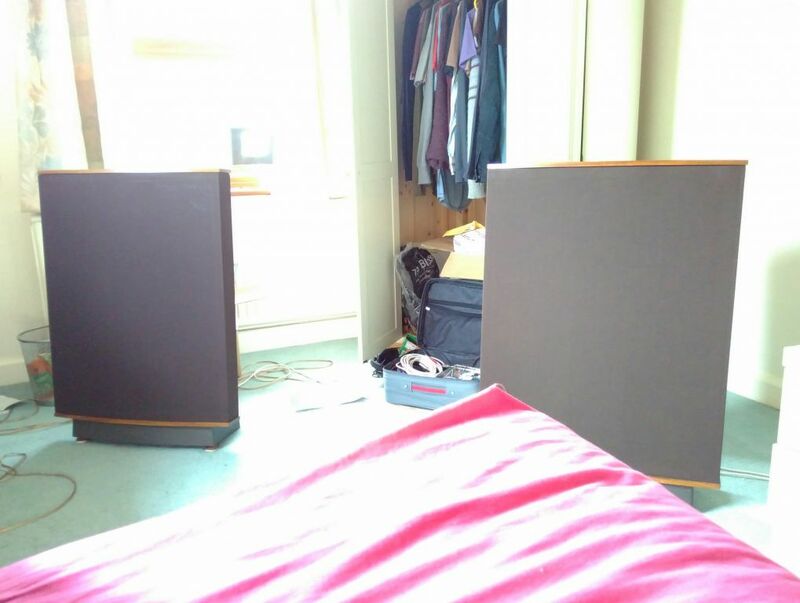 The first acquisition was a pair of Quad ESL 63 speakers. Electrostatics, are as far as I'm concerned the only form of transducer of any interest, and the 63s are the highest expression of the art so far. I might also speculate that this form of technology involving using capacitors to physically move will be used for propulsion of physical objects one day (if it's not already ). For amplification I am modifying a MOSFET amp by the venerable Mat Mathias - the Matamp Quasar, can be scored on EBay for less than £100. In it's previous life it was capable of delivering 1000 watts of power per channel, but I have removed 7/8 of the output devices as the ESLs only require 125 watts max. 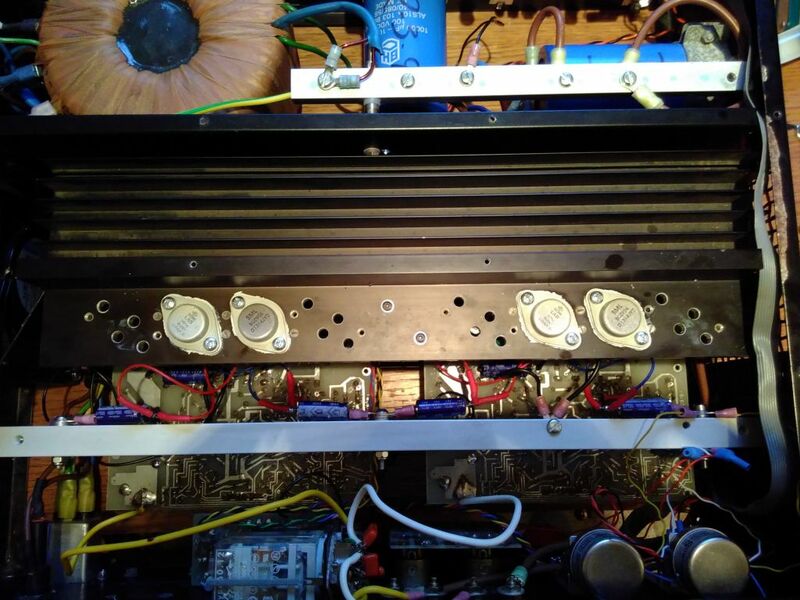 I like working on amps, because you are working with basic principles at high power, so everything counts. These Matamps are great to work on too, compared to other similar products of that era they have certainly aged the best. I like ESL's, although it is unlikely that they will ever find their way into our house, as they have really low WAF. These days even Martin Logans aren't as exepnsive they once were (although you do here things about panels needing repair). Would think that you need a bit more clout to drive them, not because of the amount of power needed, but the stability, due to the nature of the load. DIY Krell KSA amp? For complex sound sources they don't sound like anything else. I think they were designed for acoustic/classical pieces but for synthesizer music it is just beautiful. Yes, I have heard that ESLs can present around 2uF of capacitance, for any negative feedback topology that could get really ugly. No trouble so far using a Peavey CS-800 which uses NF as far as I recall. 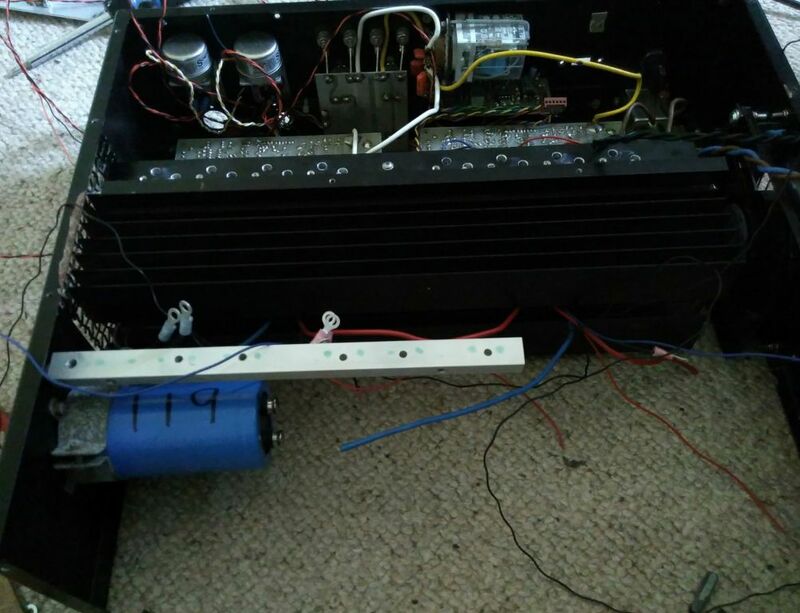 If possible restore/modify an old power amp that's going to be the cheapest and easiest option by some distance. You can get Martin Logans in the UK too, but I don't like the mixing of dipole and classic drivers. Crossovers always do weird things to phase at the filter and the transducer. These ESLs go down to 45Hz, although the load resistance at those frequencies gets really low, like 1.5 ohm. The only problem with the 63s is they clamp to 2 ohms or something when overdriven which can destroy lesser amps and even consume good ones over time. There's something about their 405 amp which made the treble not increase versus the HF impedance/draw?, don't remember offhand what they did. They're said to be able to go down pretty low in frequency when you place them to take advantage of room LF coupling. Awesome find! They're quite common in the UK I think, not so much as the earlier, lesser 57, but still easy enough, it was mainly a case of figuring out they were worth thinking about, which came from research into resonance modes of circular membranes. Once you realise how materials resonate you can see how flawed cones and drivers are, because they have a fixed resonant pattern from the diaphragm size and the box they are coupled to. A material with no inherent resonance mode completely changes that. That's a good spot with the clamp. A low value fusible resistor would solve that. I've only seen Vishay offering them, but they are cheaper than poly fuses and are available in a range of Rs, including the very low. I don't think their resistance increases as quickly as polyfuses during fault conditions, but they've worked fine when I tested them. I think the 405 amp just has a passive network to compensate for the impedance characteristics. I had a quick look but the topology was a bit too standard to dwell on. Good buy. QUADs are great. 63s can come in at a good price as they are getting old now and will have needed a service by now. The newer ones to give more bass and SPL. There’s another new model shown at the Munich hifi show this year that’s meant to be good. A good alternative are Magnepans, expensive in the U.K. but great value in the states. There are also people like Kingsound doing modern ELS. Final Sound from the Netherlands made some diy-able panels some years back. BMRs can get you some of the advantages of an ELS in a “conventional “ driver. Ie no crossover in the midrange plus when they’re in a cabinet there’s less of the dipole distribution that makes the QUADs tricky to position domestically. (Although there’s potential to open baffle them). It’s this positioning and the bass restriction that led me to the original Linn Isobariks although I fully appreciate the benefits of ELS. I think I still have a little booklet somewhere on how to DIY electrostatic panels. Complete with instructions to apply graphite to non-conductive mylar foil and pre-tension of said foil between metal perforated steel (later on the author offered metallised mylar foil). 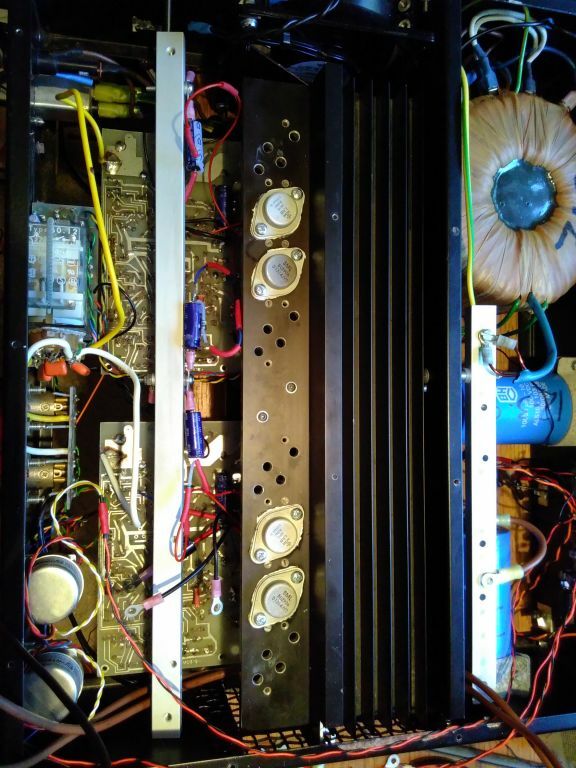 Repurposing an old PA amplifier for home stereo use is far more efficient than many of these kits, which don't often have good chassis designs and good heatsinking. The internal construction in PA amps is generally very robust, with good protection and novel topologies. The second hand market is very different to hifi, with many excellent devices for around £100. The Quasar is especially suitable due to the nature of the internal construction. The topology is roughly similar to http://sound.whsites.net/project101.htm . From initial measurements, the capacitance multipliers get the ripple (unloaded) down from ~100mVAC to ~10mVAC. I have a Quad 405-2 going spare. Not modded or recapped. It's original owner was Sir Clive Sinclair, although I have no providence for this. I could get him to verify I suppose, but he's cranky these days. If anyone is interested and wants to buy/trade something then message me. I just need to get rid of it. Happy with the Matamp, thanks! Have had an issue with some infernal high frequency oscillation. My working theory right now is that the MOSFETs I had wired as capacitance "multipliers" were oscillating with the inductance of the chassis or some other leads. It was bad enough to make my multimeter go psycho when it got anywhere near it, and radiated into pretty much every node on the amplfier. Thinking that lowering the RC network supplying the gates will help. Booted again today, the problem was indeed from the MOSFETs used as capacitance multipliers. I changed the RC network and added some extra capacitance from source to gate. So, with all the modifications I don't think it's possible to improve on the design. The biasing is quite clever, using a diode clipped signal to overcome the diode drop at the output devices. 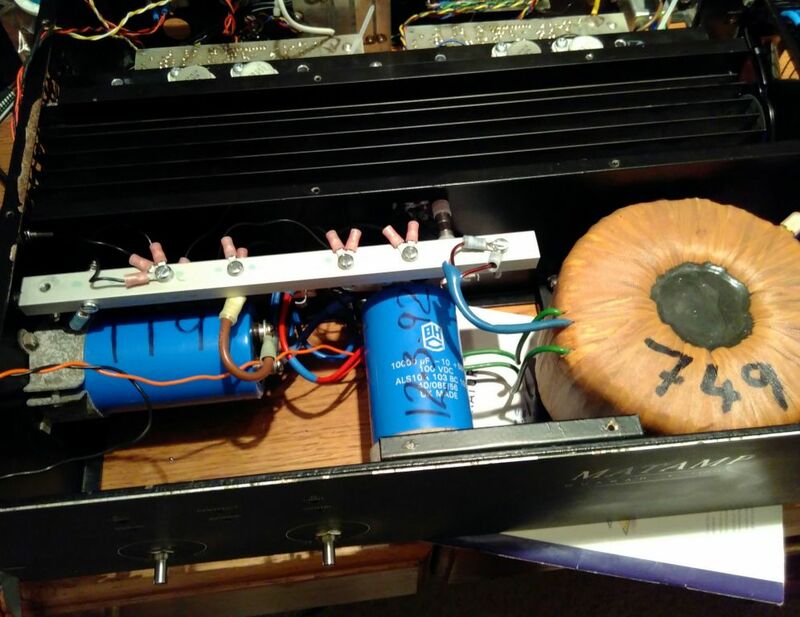 After finally completing the modifications, I found that the Matamp was completely unstable with the capacitive load of the ESL63s, which I estimate was in the region of 1uF of capacitance. I tried different forms of compensation, but the design was frustrating me too much, and I don't think I would find a scenario that had the response I wanted. I've looked at a lot of amplifiers based on closed loop feedback to power reactive loads, including some proprietary ones, and they all involve "brute force" compensation, with many feedback and feed forward paths chosen experimentally. This wasn't a solution that sounded particularly appealing. So I am basically going to gut the amplifier, apart from the power supply and the MOSFET output devices, and use Wayne Kirkwood's excellent headphone amplifier as the drivers to the output devices. It includes excellent bias compensation, and can be ran open loop, so bypassing the problem of compensating the negative feedback path altogether. With the capacitance multiplier, I added another step, and realised that I had chanced across the building blocks for a simple regulator design.